I would love to take these to the ocean and see how they interact with the sand and salt water. But for now, they will have to do on a scrap of blue flannel. 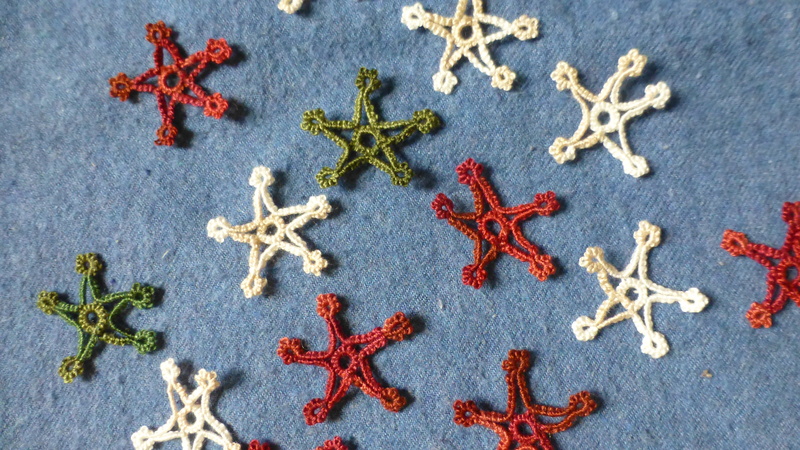 These stars are hand tatted out of my favorite hand dyed thread. 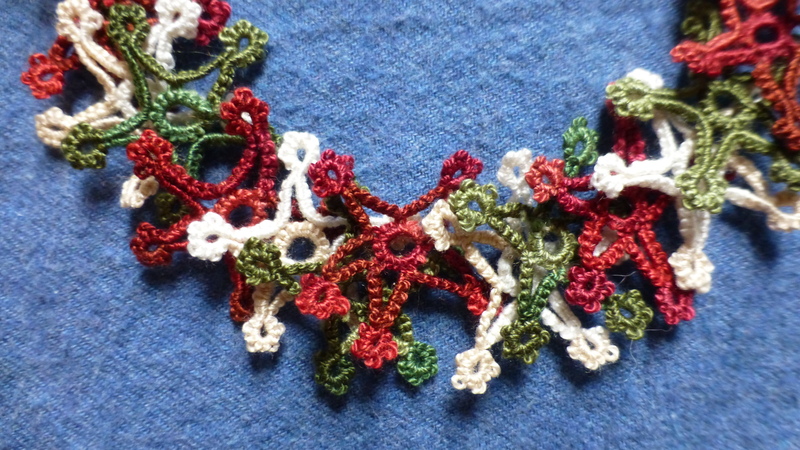 I couldn’t resist making them and am looking forward to hanging them places. They are also available on my etsy store in sets of 3, one of each color.